For those of you who are lucky enough to have some legacy glass lying around or have some rich uncle to borrow them from, these next two lenses are for you. I’ve had such a great time using these lenses with the Sony NEX-7 with adapter. The handling is hard to describe. You get the old school manual feeling without all the chemicals and clean up. I’m not saying that’s not fun for me, but there are times when you just want to shoot and get the results with out too much headache. 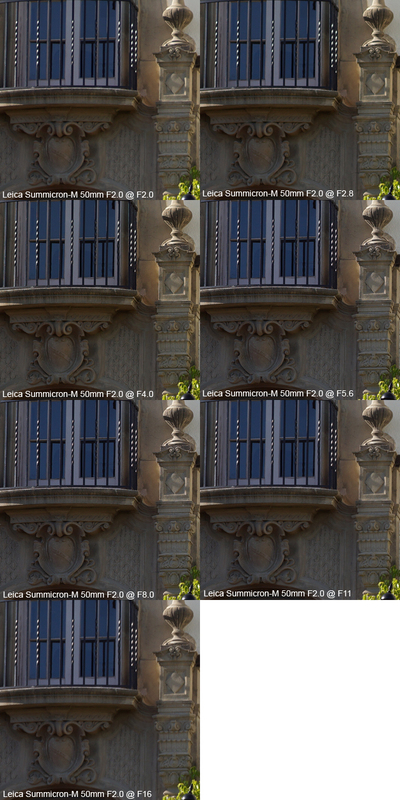 As you can see in the results, this Leica Summicron-M 50mm F2.0 transfers very well to digital and the Sony NEX-7. If you happened to have one it’s definitely worth the 14$ on Ebay for an adapter. The other option if you are feeling nostalgic and want to shoot manual lenses is to try to pick one up used on Ebay. From what I’ve seen you can get an older one for $500-700 but the newer ones are still a pretty penny. For some reason they seem to be going up in price if Ken Rockwell was accurate in his price assessment. This truly is a nice lens, very sharp through the range, smooth focus, depth of field scale, and an aperture ring that has clicks for each half stop increment. This lens is only suited for a select few on my Value to Cost Ratio scale. Very few people will realize the full “Value” of this lens and the rest could save a considerable amount of coin by purchasing the Sony 18-55mm 3.5-5.6 OSS lens. At the cost of $300, I feel like I’m stealing from Sony! This lens was not meant to be a super sharp lens from Zeiss for range finder market. It was meant to be a portrait lens or a street lens that gave that old school smooth milky center focus with fall off. It has a great look in B & W photography. How does it transfer to digital? Well its subtle take a look at the results image at F1.5 do you notice that the right side of the frame is more in focus then the left side of the frame? The right side is closer to the center of the image so its sharper relatively to the edges (left side) of the frame. Full frame its more noticeable then in these crop shots but if that’s the look that you’re looking for, then this lens does a great job at it. The effect is less noticeable stopped down. So to get the most out of this effect use large apertures. Again, don’t run out and get one unless you are going for that look that I talked about. Value to Cost wise it doesn’t make too much financial sense. Although if you are into that old school look, there are few other lenses that give the same results like this Zeiss. Of course you can use the Sony 50mm F1.8 and use Adobe Lightroom and an action to get a similar look but depending on how much you shoot in that style your “Value” maybe higher to own one at that point. Its performance in the showdown is in the middle of the pack. Not the sharpest, not the most expensive, not the cheapest. I almost think of this lens as a specialty lens. It does a couple of things well and that’s why you have the lens. Using it to its utmost potential. What a beautiful concept. There is not much negative that I can say about this lens. I’ve tested it thoroughly and it keeps on impressing me. Sharpness wise, it’s sharp throughout the range, and hands down the winner of this showdown. For a modern camera, this modern lens is a great companion and should not be left at home if you shoot this angle frequently. It’s amazing at close-ups and for portraits. So some people may feel that this lens is a little too long for a walking around lens, but I disagree. My approach to photography is, be challenged, you will become a better image maker. When I started out in photography I had one camera with a fixed lens and I had to capture images with what I had. Sure for somethings, sometimes what I had didn’t work the way I wanted, but It forced me to look at the scene in a different way and allowed me to create images that I normally wouldn’t have thought of if I didn’t have that limitation. Sure, back in the day its was because I didn’t have money to buy other camera’s or lenses but I got so accustomed to using this technique that I’m glad I stuck with it. I still try to used this technique on short trips or day shoots with family just to challenge myself to be a better image maker. There are so many choices of cameras and lenses out there, that sometimes, it’s “freeing” to just step back and give yourself “limits” to work within, and see how you perform. It’s a great exercise, I challenge you all to try it sometime. As for the lens, I’m impressed with many things about this lens, such as the Sharpness and Weight but what I’m most impressed about is the Price. Its stealing to get this lens at sub $300 USD. 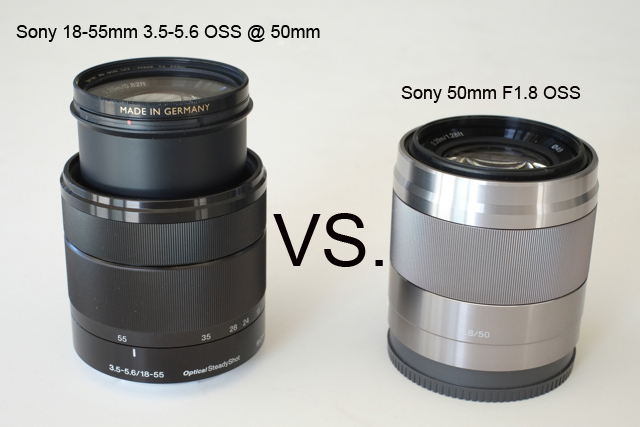 Hands down the winner of this showdown is the Sony 50mm F1.8 OSS lens. 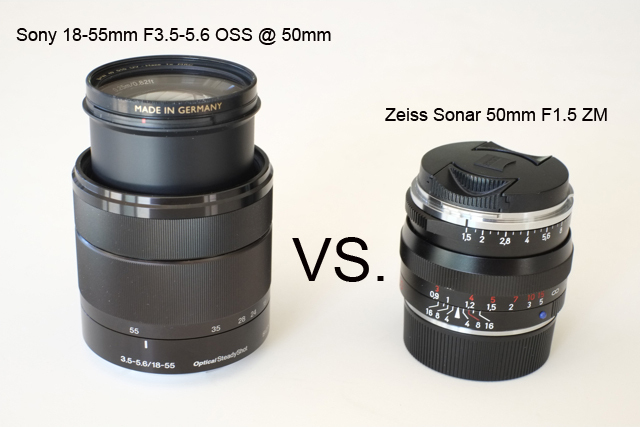 There’s not much to say except for your money the performance of the Sony 50mm F1.8 OSS is a winner. In second place is the Sony 18-55mm 3.5-5.6 OSS. The lens has issues at 50mm F5.0 and F5.6 but all around a good performer for the money. Again sub $300 and you get a decent lens that’s not great in certain spots but will do well in most area’s. 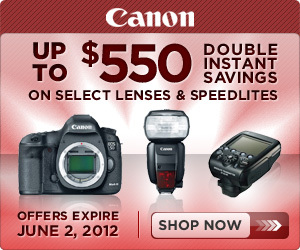 Isn’t that what a zoom lens is supposed to do anyways? Please read my other reviews for the performance of this Sony 18-55mm 3.5-5.6 OSS lens at the different focal lengths. You may be surprised with what you see. To sum it all up it performs where you need it to, mostly. 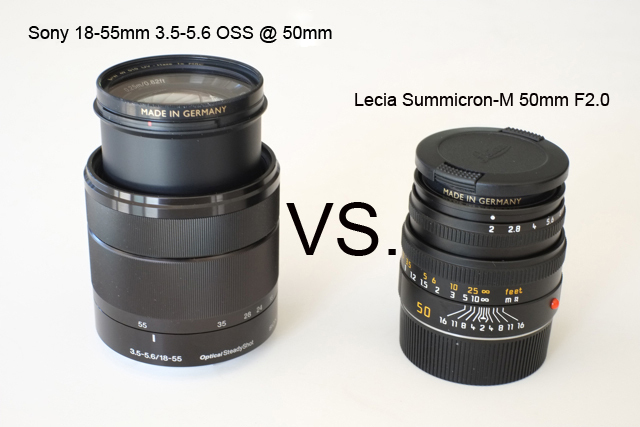 Third, is the Zeiss Sonar 50mm F1.5, and Fourth is the Leica Summicron-M 50mm F2.0. Honestly, its weird for me to be place the big names like Leica and Zeiss at the bottom of the pack but here’s my thought process. The Zeiss is more of a specialty lens. It does a couple of things well and that’s why I would consider buying it. I ranked it over the Leica because it cost half the price and has an identity. So Value to Cost is higher. I like the over all performance of the Leica Summicron-M 50mm F2.0 but it’s still more of a general lens that cost twice that of the Zeiss. Leica and only a little with Zeiss has always suffered with an exclusivity complex. Yes they make great products and yes if I had the money I would most likely buy them, but I like to use the car analogy to explain my thoughts. Is a Porsche a great car? Yes! Would l “like” to have one? Yes! Does it go faster than a Toyota Camry? Yes! Will it cost more than a Camry? Yes! In the “real world” am I able to use that speed to get me from point A to point B any faster (considering traffic and speed limits)? NO! So for everyday driving is it worth 5 times more than the Camry? To me, and most people with a family and mortgage and a middle-income life style, the answer is NO! There is something to be said about buying quality tools or “investing” in items that will hold their value, like a ROLEX. I can’t afford one, but if I could, I would buy one, because I know that the money that I “invest” in this quality watch will most likely hold its value or go up in value. Reality is, there are very few things that have this quality about them. High end watches is one of them, Leica used to be, but as with a lot of photo gear, after the switch to digital, the market for Leica “collectors” lenses and bodies dropped. Only a few exceptions exist, and this is more because of availability more than anything else. (Leica 50mm f/0.95 Noctilux anyone?) You may think that I’m a Leica “Hater” but I’m actually a huge Leica Fan! They just “price out” most people and some day when I can afford one I’d still say that It’s a camera and a system for only a select few not necessarily something that I would recommend to everyone. Not just on price point but usability. The future holds many interesting things. The Fuji X-Pro-1 comes close to Leica Quality and is a great photographers camera on its own, just dream what would happen if they entered into the Full Frame interchangeable lens business? I’m drooling just thinking about it! Happy Picture Taking!!!! Go have some Fun!! What do you think of the performance of these lenses?? Use the comments and let me know! Incredible result for the 50 sony OSS, good for the price ! Thanks so much for your comment. I agree, very great for the price. Interesting test. I’m not a huge fan of the 50mm focal length on APS-C sized sensors. I like the NEX approach to picture making but I gotta be honest I like Fuji’s approach to fast primes at the right focal lengths. That said are your crops at the center or the corners? Sony’s lenses (even the much maligned 16mm) is sharp in the center. The corners are what are really hard to get right and what you (often) pay a premium for in prime lenses. Now corner sharpness might matter less for a portrait lens shot wide open but I think you may be missing a crucial aspect to your review. Thanks for the comparison though! Joel, Thanks so much for your thoughtful comment. I agree that Fuji’s fast primes are very attractive and are at “traditional” focal lengths, but I’ve really come to love the Sony 50mm F1.8 lens even on the APS-C sensor. If you have read my other reviews, I mention a technique I use to challenge myself as a photographer. I go out with one camera one lens and thats it. Theoretically this 50mm is a mid telephoto lens on APS-C and may be too “long” for most people, but there lies the challenge. Capture a different point of view. Experiment, have fun!! Thats what photography’s all about, and it won’t hurt your wallet too much, plus if Sony comes out with a Full Frame NEX then you’ve got your “normal” 50mm lens. I’ve gotten great results and appreciate that Sony would make a lens like this. What do you think? Joel, what is your favorite lens right now and focal length? Since you thing that a mid tele is too long what do you use? What type of photography are you into? You tested the center? If you would test the corners, the kit lens would fall back to last place or worse. 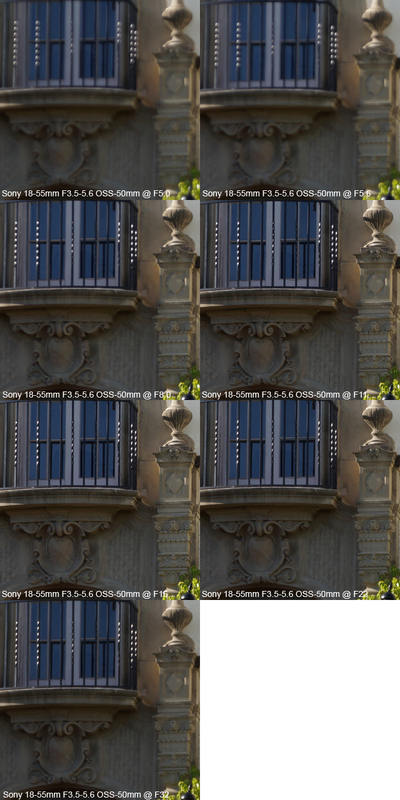 I did a similar test at f8, in the corners the 18-55 is abysmal. fair comment, after reviewing the corners of my test shots there is a slight fall off, but let me ask you this, for this price is there a lens out there where in real world images that this will be a huge problem?? Sony 50mm f1.8 – 325€ in Europe and vaporware. Nowhere to be had. That’s about 430 USD. Not such a bargain. Bought a mint Canon nFD 50mm f1.4 and FD-to-NEX adapter instead for my portrait shooting for a quarter of the price. great buy man, any chance I can get some samples for the site, the photo community, I’m sure would love to see them!!! contact me please!! 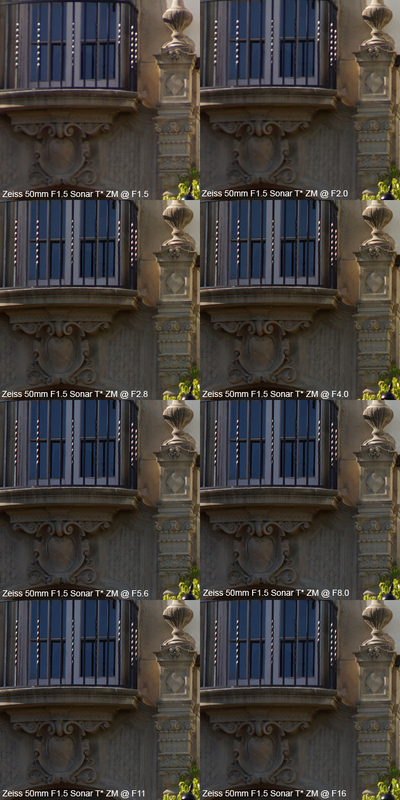 I also made similar tests of the 18-55, SEL50, and Canon FD lenses (-> see my blog). The kit is decent to good, if you stop it down two stops from wide open. For 18mm, that means f5.6, for 50mm that’s f11. Then even the corners are ok to good. The best range is 24-35mm. As you wrote, that is very most owners will use the zoom. I like my SEL50 too, though I had to wait several months for delivery – like a Leica lens :-). My FDn 50/1.4 outresolves it in the corners till f4 but the color rendition is just great. And honestly, having an AF lens with touch focus speeds things up. thanks Chris for your comment, your pictures are great!!! I like the old cars!! that’s one of my passions cars! I’d love to see some examples of the canon lenses. please post a link. With the SEL50F18, I am now a little spoilt with having a great lens AND AF at the same time. Still, when going to turkey in June, I will take those lenses with me, too. Great review, I like your analogy. Dave thanks do much for your kind words!!! Keeps me going!! Thanks for the terrific review. Your images and text clearly describe how any zoom lens is a compromise, and clearly the long distance sharpness is poor for the 18-55mm when set to 50mm wide open. After reading your review I got the 50mm f1.8 for my NEX 5N and have really enjoyed it. Great for portraits – the aperture means you can isolate your subject and the slight tele means you can fill the frame without making features look distorted. Further, it is great for real world pictures of people – the OSS works well for hand held shots and the slight tele zoom means that people act more natural than a wider lens much closer to them.